Few recent Los Angeles DUI cases match the scope or tragedy of a 2012 collision in Miami, FL that killed 13-year-old cheerleader Kaely Camacho. The accident occurred when Sandor Guillen, 30, struck the Camacho family’s minivan with his Land Rover, tearing the van in half before fleeing the scene. The police later apprehended Guillen in a nearby field and charged him with DUI manslaughter, vehicular homicide, and leaving the scene of an accident. 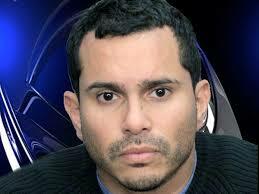 In March, a jury found Guillen guilty on all three counts. On June 6, Miami-Dade Circuit Judge Ellen Sue Venzer sentenced Guillen to 20 years in prison, as well as 2 years of house arrest, 7 years probation, and a yearly charitable donation in Camacho’s honor. This tragic case has rocked the community, its notoriety attracting crowds of spectators and much media attention. Although Guillen made no statement of remorse at his sentencing hearing, family members accused the media of making the case into a “modern-day lynching,” depicting the defendant as a monster rather than an upstanding individual who made a terrible mistake. Cases such as Guillen’s present heartbreaking scenarios to everyone involved. Driving under the influence is a serious charge with heavy consequences, and when a person has died, the tragedy extends to the perpetrator, the victims, their families, and the community. Under California law, an individual can be charged with vehicular manslaughter when the defendant violates a traffic law or engages in negligent behavior leading to the death of another person. When alcohol is involved, the offense becomes more complex and severe. In some DUI manslaughter cases, law enforcement agencies may file premature and excessive charges against the defendant to try to force a plea deal. The media may portray defendants as villains, when in reality, they are simply individuals who have made grave errors. If you are facing DUI manslaughter charges, you are likely frightened, overwhelmed, and full of regret. You don’t need to face this on your own. A Los Angeles DUI attorney well-versed in California law and the legal system will use every tool available – from accident reconstruction to toxicology to eyewitness reports – to resolve your case. Contact Kraut Legal Group today to begin your defense.